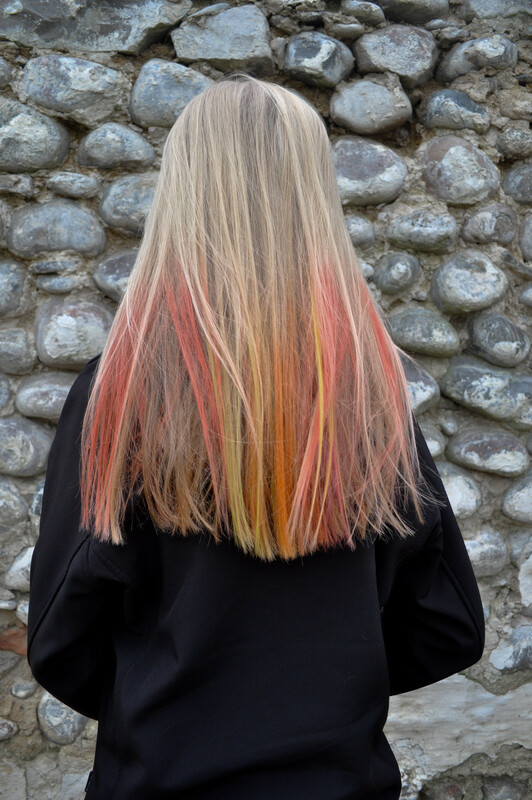 Coloured Hair Using Chalk Pastels! 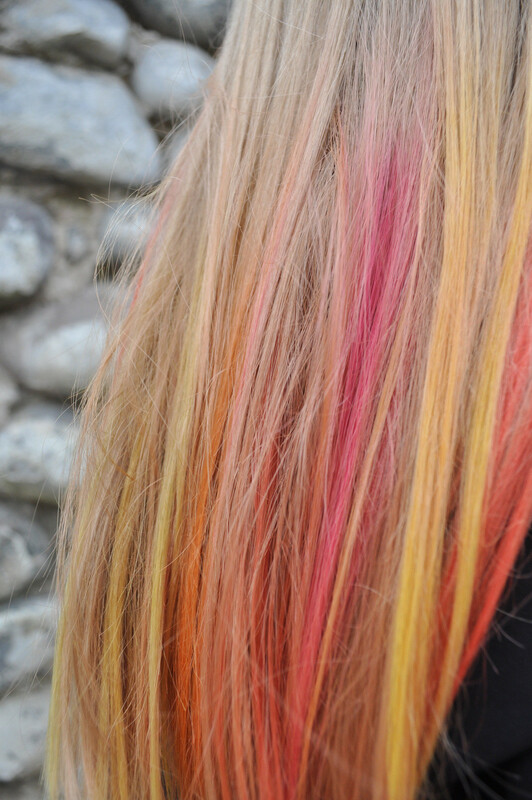 This is an easy way to get a splash of color in your hair, without permanent color! Take a wisp of hair, and make it wet. Colour the wisp with the pastel. 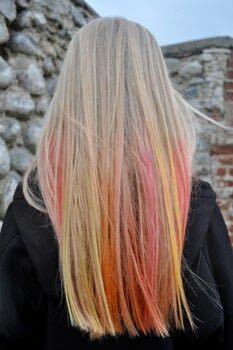 Do this in as much hair as wanted. 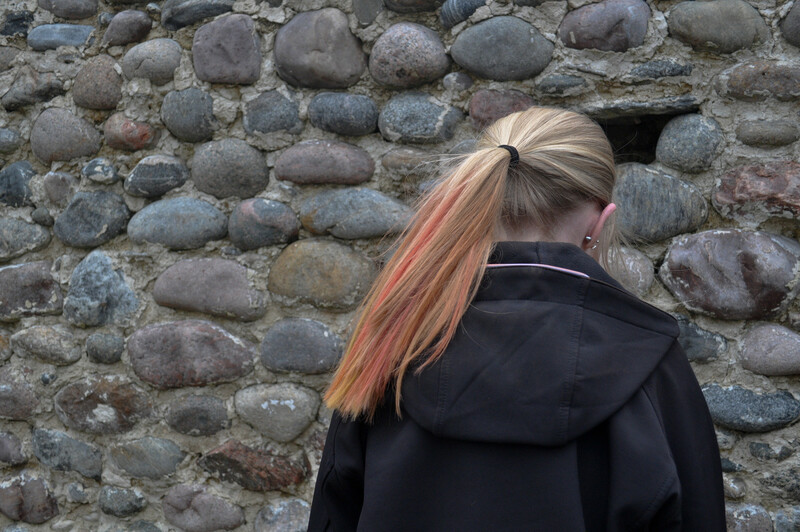 Iron your hair with a flat iron or curling iron, to make the chalk stay in your hair. Okay, this is like the coolest thing to dying my hair and my mom wont care bc it is temporary!!! I definitely think that you should try in your red hair. I don't know if it will work, but if your hair isn't that dark, I don't think that it's a problem. Maybe you should go with darker colors as purple or blue (maybe blue will turn purple in your red hair?) Have fun with it! Can this work on red hair? What colors would work with my hair? does this work with black/brown hair? Let me see your version!